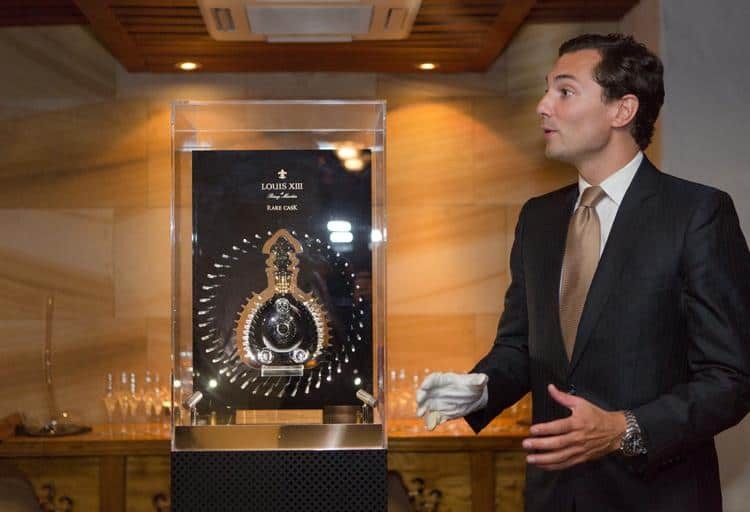 This week, Hawksworth Restaurant in the Rosewood Hotel Georgia played host to a unique function: the unveiling of the Louis XIII 42,6 Cognac by Rémy Martin. If that doesn't mean much to you, perhaps the price tag will explain its significance. A single ounce from the rare decanter, one of only two bottles in Canada, is valued at $1,500, with half ounce units available for $800. As Chad Clark, General Manager of Hawksworth, jokes, this is truly a "steal of a deal" as other North American accounts will sell the single ounce units for up to $3,000. This premier spirit features a blend of eaux de vies whose production spans over a century and through four generations of cellar masters. The result is a legendary cognac worth far more than money to the masterminds at Rémy Martin. Morgan de Premorel, the International Brand Ambassador for Rémy Martin, was on-hand at Hawksworth events this week to introduce and showcase Vancouver's impressive decanter. De Premorel emphasized that above all else, the company's goal is to keep the cognac's mythical nature alive, imparting upon consumers the sophistication of this 100 years of craftsmanship. Vancouverites should feel particularly proud of Hawksworth's involvement in the release of the Louis XIII 42,6 Cognac, considering it is the only restaurant account in Canada to play host to the elite alcohol. As the only Canadian restaurant offering this potable, this partnership says a great deal about the respect the Rémy Martin brand has for Hawksworth as a leading food and beverage venue. 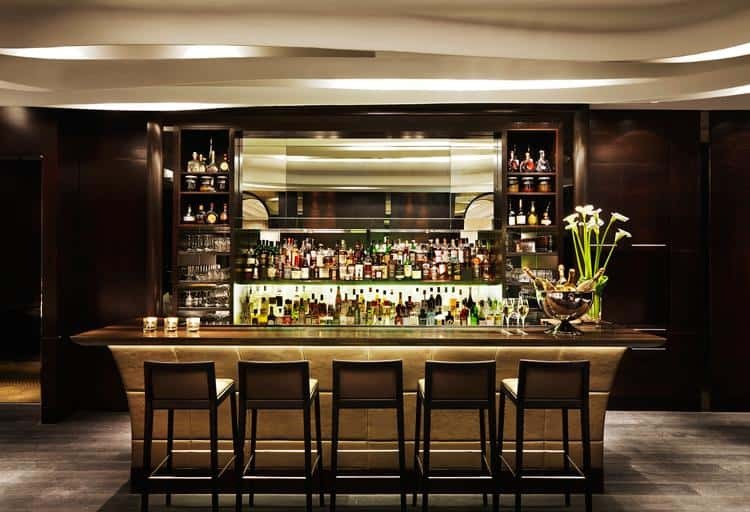 The cognac – arguably as phenomenal in presence as it is in taste and tradition – will be displayed behind the Hawksworth bar, adjacent to another Louis XIII line sold at the Vancouver restaurant. When asked about expected shelf life for the high profile bottle, Hawksworth staff felt confident that this new bar feature will draw that appropriate crowd all on its own. Head bartender Cooper Tardival quipped, "we won't exactly be up-selling."